First and foremost, dementia is a general term for memory loss and other cognitive abilities serious enough to interfere with daily life. Furthermore, Alzheimer’s is the most common cause of dementia. In fact, Alzheimer’s accounts for 60 to 80 percent of dementia cases. 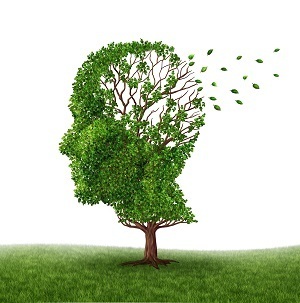 Most of all, alzheimer’s effects worsens over time. It is a progressive disease, where dementia symptoms gradually worsen over a number of years. In its early stages, memory loss is mild, but with late-stage Alzheimer’s, individuals lose the ability to carry on a conversation and respond to their environment. Especially relevant, Alzheimer’s effects include poor sleep. Also, nearly 10% of Americans age 65 and older and one-third of Americans age 85 and older have Alzheimer’s. Furthermore, of those with Alzheimer’s, 81 percent are age 75 or older. First and foremost, in one study, scientists studied 119 adults aged 60 and older. Also, 80% of these adults had no thinking or memory problems. While, the others had only mild thinking or memory problems. In any case, among these adults, the study found that adults with reduced slow-wave sleep (also known as deep sleep) or poor sleep had higher levels of the brain protein tau. Incidentally, these elevated levels of tau are one of Alzheimer’s effects. Moreover, brain damage and mental decline caused these elevated tau levels. Hence, Alzheimer’s effects include poor sleep or reduced slow wave sleep in older adults. So, poor sleep is a warning sign for the presence of Alzheimer’s. First of all, observational studies also found reduced slow-wave sleep as a common factor among adults, over age 65, who had amyloid beta plaques in their brain. In fact, amyloid beta plaques in the brain, are a physical sign of Alzheimer’s effects. Yet these adults did not show signs of Alzheimer’s effects, such as memory loss and cognitive decline. Incidentally, slow-wave sleep (which is part of deep sleep phase) consolidates your memories. As a result, reduced slow-wave sleep hurts the memory consolidation process. Especially relevant, amyloid beta proteins accumulate in the brain every day. Also, amyloid beta proteins are thought to be a waste product from the energy used by brain cells to communicate with each other. However, your brain sweeps out the excess amyloid beta proteins every night during slow-wave sleep. Regrettably, some studies suggest that, interrupted slow-wave sleep causes build up of amyloid beta proteins to form plaque in brain tissue. Incidentally, scientists believe, this sign of Alzheimer’s effects, is also the first stage in the development of Alzheimer’s. Indeed, plaque can build up two decades before symptoms of memory loss and confusion appear. Meanwhile, a 2015 study in Nature Neuroscience imaged the brains of 26 adults, between the ages of 65 to 81. Also, these adults had not been diagnosed with dementia and did not report any sleep problems. First, PET scans on the adults measured their brain’s amyloid beta levels. Then they were asked to memorize 120 pairs of words and tested on how well they remembered a portion of them. The adults then slept for eight hours. During this time their brain waves were measured. And these brain waves searched for sleep disruptions, as well as to find out if they woke up during the slow-wave phase. The next morning, as they tried to recall the memorized words, their brains were scanned again. Over all, adults with the highest amyloid beta levels in their brain had the poorest quality of sleep. Moreover these adults performed worst on the memory test. In fact, some forgot more than half of the words. In conclusion, then, improving the quality of your sleep results in the brain’s lowest amyloid beta levels. Also, the high amyloid beta levels still remaining in the brain after sleep, likely turns to plaques. Therefore, these high residual amyloid beta levels are another growing sign of Alzheimer’s effects. Lastly, 119 people aged 60 and over participated in a study to discover how sleep causes Alzheimer’s effects. Therefore, researchers related the participants measured brain waves, amyloid beta and tau levels with sleep. And, researchers found that decreased slow-wave sleep coincided with higher levels of tau in the brain along with a higher tau-to-amyloid ratio in the cerebrospinal fluid. Moreover, total sleep wasn’t a factor. In fact, people with high tau levels were sleeping longer, even taking afternoon naps, but they weren’t getting enough slow-wave sleep. In the meantime, other studies report that aerobic exercise helps you get better sleep quality. Also, because overweight people tend to have more sleep problems, it’s important to lose weight. In conclusion, exercising, losing weight, and practicing good sleeping habits helps you improve your sleep. Which in turn protects you from both amyloid beta plaques as well as tau proteins, both of which are growing signs of Alzheimer’s effects. In addition, good sleeping habits, like sleeping 8 hours every day, also protects you from all the other bad consequences.